Most Poicephalus Parrots measure a mere 8-10 inches long, but they are “small” only in stature. These stocky, pint-sized African natives offer some huge advantages over their larger cousins, and are excellent choices for those seeking a small bird with all the personality of an Amazon or African Gray. Poicephalus are, as a rule, a bit shy or even timid, especially in new surroundings or around strangers. “Easy-going” is the description most commonly given by owners. 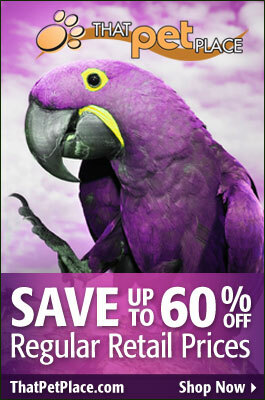 Acclimated individuals, however, are among the most affectionate of all parrots. They seem to crave attention but are not prone to screaming– an extended neck or lowered head is a more common way of soliciting a scratch. Poicephalus are excellent birds for patient folks seeking a companion that can be handled regularly. 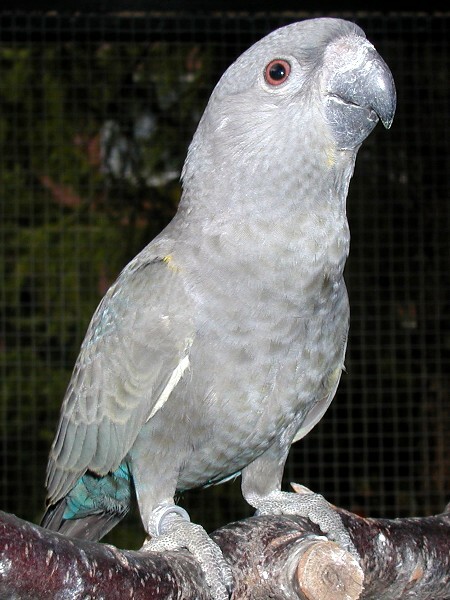 Most species are well-suited to medium-sized parrot cages, with larger cages and outdoor aviaries being perfect for pairs or to provide extra room. While their plumage is not overly flashy, the contrast between the grays, greens and yellows of most species is quite attractive. Poicephalus tend to be quieter than other parrots and are moderately talented mimics, with certain individuals developing impressive vocabularies. Clad largely in green and sporting a gray head and yellow-orange underside, this West African dynamo is the most popular of the group. 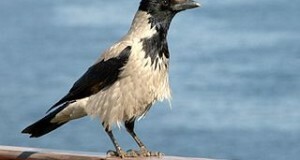 The three subspecies are birds of open forests, wooded savannahs and farms, where they sometimes steal corn and rice. Insects also feature in their diets. Senegal Parrots tend to be timid, but become extremely friendly in caring hands. Be forewarned – despite their small size, Senegals have very powerful beaks and can make short work of furniture. Some are amazingly “trainable” – please see the video below. Although not introduced to America until the 1960’s, the Meyer’s Parrot quickly became very popular, and is now bred regularly. Six subspecies range across Central and Eastern Africa, where they favor forest edges, overgrown scrub and wooded grasslands. Meter’s Parrots take time in adjusting to new situations and people, and are considered to be a bit shyer and more high-strung than are their relatives. However, they reward the patient caretaker with affection and inquisitive behavior, and are fine mimics. Their personalities and high energy levels are best accommodated in large cages – despite measuring less than 9 inches in length, Meyer’s Parrots do poorly in cramped quarters. The Ruppell’s plumage is an interesting combination of grays and browns, set-off by brilliant yellow along the wing bend shoulders. 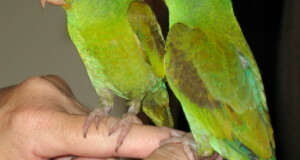 Interestingly, the lower back, rump and tail coverts of females are blue, but this color is barely noticeable in males. Ruppell’s Parrot inhabits arid, open woodlands and tree-dotted plains in Southwestern Africa. It has never been common in US collections, but is becoming more so as people realize that most individuals have a friendly demeanor and very steady personalities. Research and resources on Cape Parrots and related species from the Centre for African Parrot Conservation. This amazing video will hook you on Senegal Parrots – 20 tricks in 2 minutes!